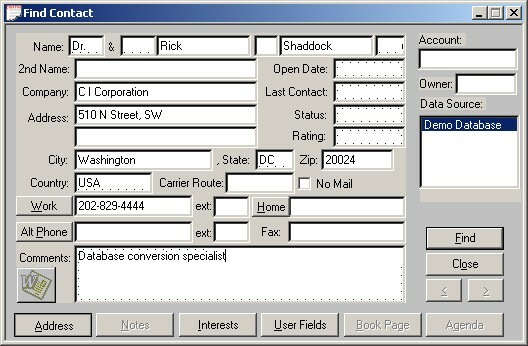 Broker's Ally for Windows, will provide your financial executives with the most advanced architecture available today. Broker's Ally for Windows is developed using Visual C++ and is an ODBC (Open Data Base Connectivity) compliant product. Although Broker's Ally version 6 runs effectively in the Windows 3.1x, Windows 95 / 98, and Windows NT 3.1x and 4.0 environments, Brokers Ally version 7 is 32-bit. Faster Database Access- means you can find customer records faster than ever. Faster Searches and Sorts- lets you create campaign lists and mailing lists faster. More stable- fewer crashes, keeps you doing your business and not worrying about your PC. More descriptive Letter names- lets you add hundreds of longer letter names and not lose track. Faster loading application- gets you into Broker’s Ally faster than ever. Faster report calculations- lets you calculate and merge data for reports faster than ever. Faster merging of letters information- helps you do mail merge faster for large scale sales campaigns. Multi-tasking support- allows Broker’s Ally to do background process while another application is running. Faster Overall- V7 is on average 28% faster, with changes made in all areas. 32 bit Application- Moving up to v7 moves you off of the 16 bit platform to stay current with the evolving computer architecture. Customer relationship management Software for brokers. Customer relationship management software for sales professionals. Our online customer relationship management software.